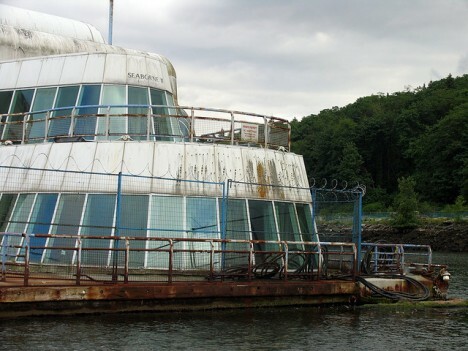 Built in 1986 in the hopes of enticing diners who were gravitating toward more high-end fare, this now-abandoned floating McDonalds might just be the saddest-looking fast food ruin around. Known as the ‘McBarge,’ it’s been anchored in Burrad Inlet near Vancouver, Canada since its debut and served its last Big Mac in 1991. The idea was to show off the future of technology and architecture while also attempting to regain some of the market share it lost during an ‘80s trend toward bistros and boutiques. How, exactly, McDonald’s aimed to do that with a clunky-looking barge serving the same old menu is unclear. 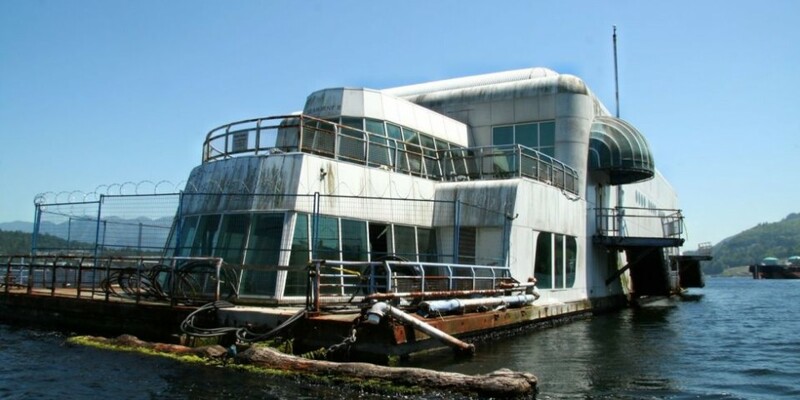 The chain dropped $12 million on the floating fast food joint and four other locations built just for Expo ’86 in Vancouver, thinking they could simply move the barge elsewhere if it didn’t catch on. For whatever reason, it was never reopened, and hasn’t budged from its apparently permanent spot in the inlet. Owner Howard Meaking proposed renovating it into the showpiece of a new waterfront development along the Fraser River in 2009, but the city council still hasn’t approved the idea. 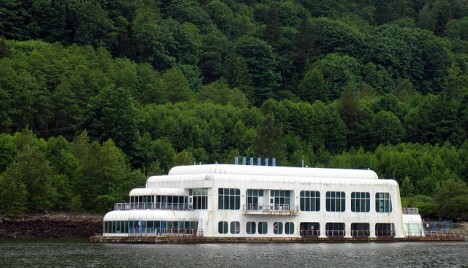 A group called ‘Vancouver’s Worst Ghost Hunters’ took a tour of the abandoned barge, using a legal loophole to get aboard and filming the experience. Check out the (surprisingly vermin-free) interior in the video (Images via Wikimedia Commons, Ashley Fisher/Flickr Creative Commons).